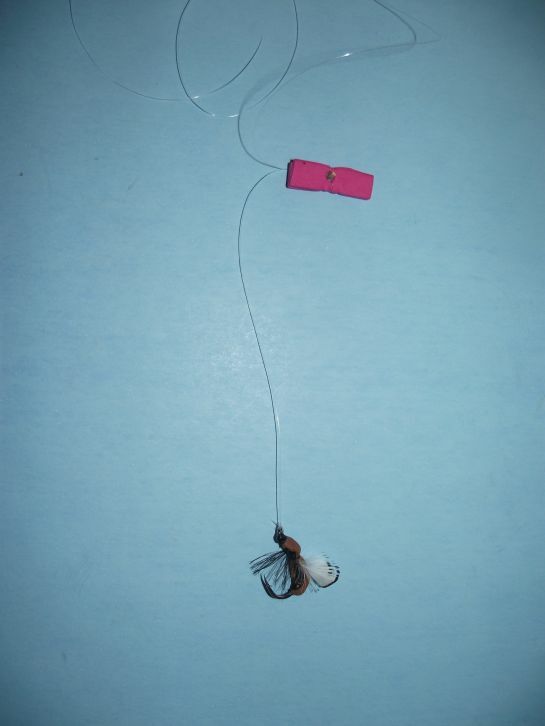 As we used foam strips to tie our winged ants and hoppers, why not stick with foam and construct your own strike indicators? 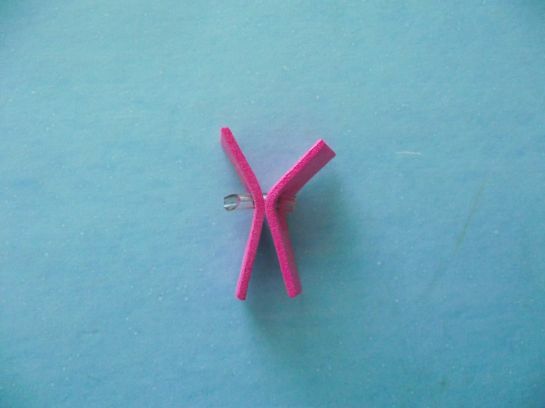 We'll make one here by using two strips of pink 2 mm foam, a Â½" length of 1/8th" flexible tubing, epoxy, and a toothpick. This simple strike indicator will not knot, kink, or make a sticky mess of your leader as would several of the other strike indicators mentioned above. What's really neat about this crafted strike indicator is that you can adjust its length up and down in a heartbeat. And, yes, it will easily float those heavier 1/0 and 2/0 hooks we've been using for saltwater angling as well as smaller, lighter hooks. Step 1: Measure and cut two strips of pink foam to size; that is, 1Â¼" long x 3/8th wide. Step 3: Cut a Â½" length of the flexible tubing at a very sharp angle then insert it into the hole. This facilitates insertion. Allow both ends of tubing to protrude. Step 8: Stick the narrow end of the toothpick into either end of the tubing to lock the leader, allowing Â¼" of the toothpick to protrude; break off at this point. See you on the water this summer seasonâ€”at least in spirit.